Filed to: that's a lotta books!Filed to: that's a lotta books! Per the DOJ, 38-year-old Thomas Scott Taylor was sentenced on a felony conviction of exceeding authorized access of a protected computer following an earlier guilty plea. Taylor previously admitted to unlawfully abusing his authority to access certain protected databases of his employer, IntelliSurvey Inc., for personal gain. 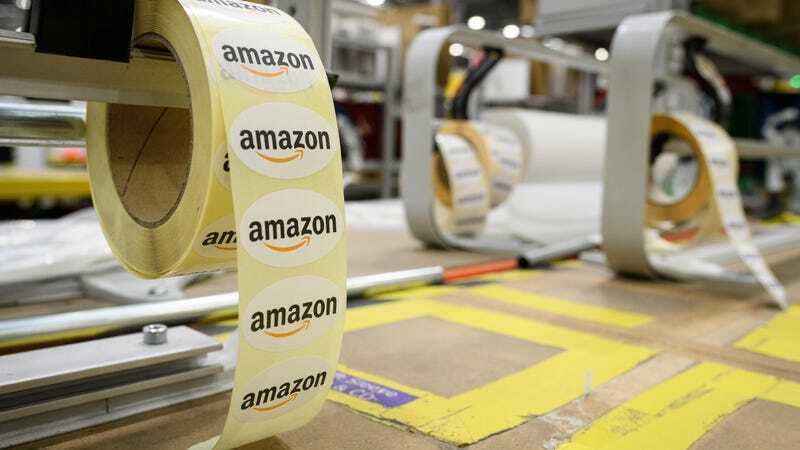 He further admitted that he knew that IntelliSurvey purchased and maintained a set of Amazon.com gift cards for use in rewarding IntelliSurvey’s survey participants and that some survey participants failed to redeem their Amazon.com gift cards. Taylor identified those unredeemed gift cards and used them to credit his personal Amazon account. In total, from December 16, 2011 until August 8, 2017, Taylor admitted he unlawfully stole $492,689.59 in Amazon.com gift cards from IntelliSurvey and used them to make 3,300 purchases at Amazon.com, ordering items that are easily resalable or for personal use. Assets Taylor was required to sell or liquidate to repay IntelliSurvey under the court-ordered agreement included his home valued at around $465,000 by county administrators, retirement savings, mutual fund, and banking accounts, as well as a 64-inch plasma TV and wireless home cinema projector, the Herald Leader reported. For their part, IntelliSurvey executives were allegedly amenable to a lenient sentence if they were repaid. Taylor wasn’t the only one to go down for gift card-related theft recently. In a separate case last week, dozens of defendants were sentenced for their role in a “hundreds of millions” of dollars scam in both the US and India to pose as tax or immigration officials, then coerce innocent people into giving them cash, gift cards, or preloaded debit cards the scammers laundered back into money orders.